Industry experts are speculating that the company is beginning a strategy to cease disc resale. Observers of the video and mobile gaming industry have noticed a new patent that has been issued to Sony, in which it has gained the ownership of an NFC technology that would make it virtually impossible for used PlayStation 4 game discs to be resold. This strategy would apply a new form of ID scanning through the console so the exclusive owner can be identified. Though many console and mobile gamers love to grab the latest games as soon as they are released, others prefer to wait a while so that those who like to have the games right away will finish with them and sell their used copies at a lower price. This is the bane of the existence of many game manufacturers as it gives people an opportunity to obtain the discs in a way that won’t generate full retail royalties. New efforts are always being made to help to prevent this activity, such as the patented NFC technology that has now been registered by Sony. 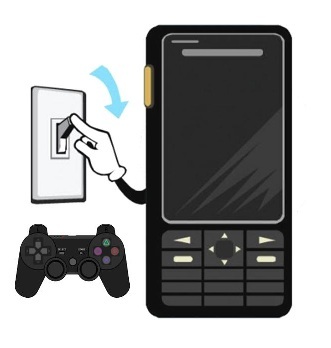 It is expected that NFC technology built right into a console and enabled on a disc will serve this purpose. Near field communication (NFC technology) is most commonly found in certain credit cards as well as in the most recent models of smartphones. Typically it is used for mobile marketing as well as smartphone payments. However, the new patent received by Sony will allow the technique to be used in the PlayStation 4 so that the console will be able to link a specific enabled disc with an individual user’s account. This will allow the owner of the disc to be identified from the first time that it is used.